542 bombers, including 321 Lancasters, took part in this night mission to attack 2 flying bomb launching and 2 storage sites. 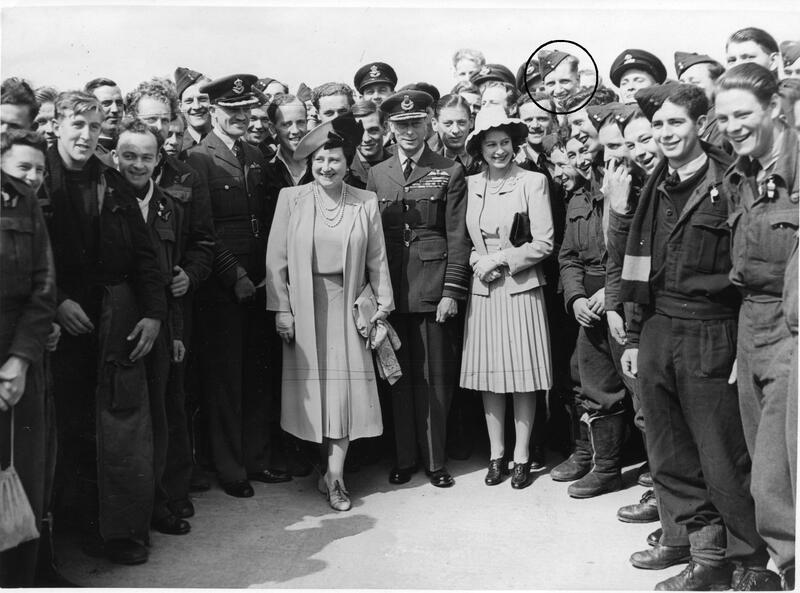 The Lancasters from 115 Squadron went to the storage site at Watten. Got up at 12 a.m. Everything done and out to the aircraft when they scrubbed take off indefinitely. Went to bed about four a.m. and they got us up again at 8:30 (seven hours’ sleep altogether). I felt like the Wrath of God. Got up to the flights and they postponed it again at the last minute until after lunch. The King and Queen arrived for the investiture (with Elizabeth) at 11 a.m. and we hung around until they finished. They came out and had a talk with us outside the watch office for a few minutes – bags of pictures taken, whether I’m in them of not, I don’t know. Elizabeth looked very bored with the whole proceedings. Well after the big affair was over we went up and had another operational meal – since the affair started we’ve had more operational meals than enough – then back again – then they scrubbed it again until night. Dean came over in the morning but I didn’t see him until after lunch. Talked with him all afternoon and then went on the op (finally) at night. We went to Watten, just past Calais – a very short trip of 2:10 – one of the launching platforms for the bigger types of flying bomb. A good trip – very bright moonlight, you could see the flak puffs hanging in the air – lots of flak from Calais on the way in and Dunkirk on the way out but neither too close, so that was OK.